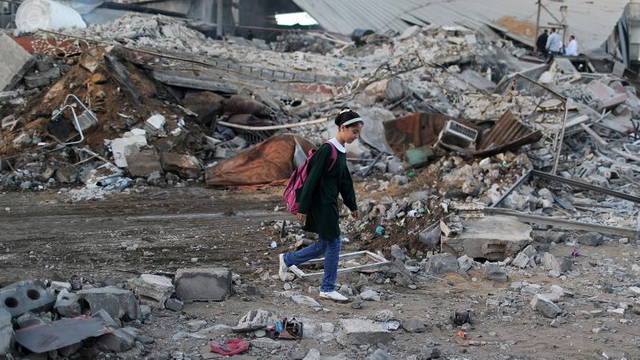 This area of Gaza has been devastated by Israeli air strikes. This is a poor student of Palestine going to school. You got a 9.88% upvote from @booster courtesy of @rayhankabirs!